Im Monitor werden in unregelmäßigen Abständen aktuelle Publikationen aus den letzten 6 Monaten vorgestellt, die für die Comicforschung relevant sein könnten. Die kurzen Ankündigungstexte dazu stammen von den jeweiligen Verlagsseiten. Haben Sie Anregungen oder Hinweise auf Neuerscheinungen, die übersehen worden sind und hier erwähnt werden sollten? Das Team freut sich über eine Mail an redaktion@comicgesellschaft.de. -> Zu früheren Monitoren. Comic Book Movies explores how this genre serves as a source for modern-day myths, sometimes even incorporating ancient mythic figures like Thor and Wonder Woman’s Amazons, while engaging with the questions that haunt a post-9/11 world: How do we define heroism and morality today? How far are we willing to go when fighting terror? How can we resist a dystopian state? 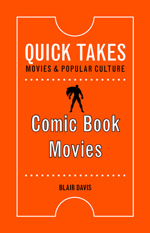 Film scholar Blair Davis also considers how the genre’s visual style is equally important as its weighty themes, and he details how advances in digital effects have allowed filmmakers to incorporate elements of comic book art in innovative ways. As he reveals, comic book movies have inspired just as many innovations to Hollywood’s business model, with film franchises and transmedia storytelling helping to ensure that the genre will continue its reign over popular culture for years to come. Wolverine. Logan. Weapon X. By any name, Marvel Comic’s savage, brooding antihero is, in his own words, the best at what he does—killing with gratuitous precision. Paradoxically violent yet humane, the beer-swilling, cigar-smoking mutant with retractable claws is universally misjudged in the Marvel Universe yet esteemed by fans worldwide. 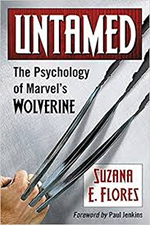 The author explores Wolverine’s development from bit character to modern legend over more than four decades, with a focus on his enduring appeal as an allegory for resilience through torment. Cultures of War in Graphic Novels examines the representation of small-scale and often less acknowledged conflicts from around the world and throughout history. The contributors look at an array of graphic novels about conflicts such as the Boxer Rebellion (1899-1901), the Irish struggle for national independence (1916-1998), the Falkland War (1982), the Bosnian War (1992-1995), the Rwandan genocide (1994), the Israel-Lebanon War (2006), and the War on Terror (2001-). 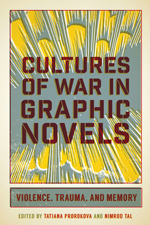 The book explores the multi-layered relation between the graphic novel as a popular medium and war as a pivotal recurring experience in human history. The focus on largely overlooked small-scale conflicts contributes not only to advance our understanding of graphic novels about war and the cultural aspects of war as reflected in graphic novels, but also our sense of the early twenty-first century, in which popular media and limited conflicts have become closely interrelated.